the various programs and projects that we have implemented to benefit our older persons in Belize. Our Society has a lot to be desired in regards to the respect, protection and services offered to our Older Citizens both on the family and community level. Several Senior citizens have been murdered over the past weeks. We are also very familiar with the scenario where an older lady or man who boards a crowded public transport and is unable to get a seat even though many of these seats are occupied by young and able-bodied men and women.” How many of us have offered a helping hand to an older person crossing the road? At the family level, we are also aware of the scenario in which “granny” is kept in a little back room all by herself and is rarely seen or heard from. In all these cases the older person is being disrespected. 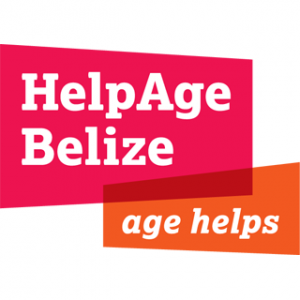 HelpAge Belize and its partners understand that there is a need to address the Older Population, whose global population will grow to twenty percent (1.4 Billion) by2030. By 2030, there will be more people over 60 than children under 10, with the most rapid change in age structures occurring in the developing countries. If our ambition is to “Build the Future We want,” we must address concerns of this Population; we must increase our present efforts in advocating for the rights of Older Persons in all spheres of their lives. The issue of protection for Older Persons is not limited to just their protection from crime and violence but includes protection from mental and financial abuse. While we are cognizant of the work that is presently being done by a number of agencies (both Government and NGO’S) in combating instances of abuse against Older Persons. It is my hope that renewed efforts will be taken up by these agencies to review and re-focus their strategies in the fight against elderly abuse. I would like to take this opportunity to ask God’s blessing, and extend our gratitude on the Government, the private agencies and individuals who contribute so generously to make our programs and projects possible; to the volunteers all over the country who give their time, energy and talents in aid of the elderly. In conclusion, I would like to extend greetings and best wishes to each and every Older Person in Belize as we celebrate SENIOR CITIZENS WEEK 2014. May God Continue to bless you and yours and bless Belize. Thank you! !